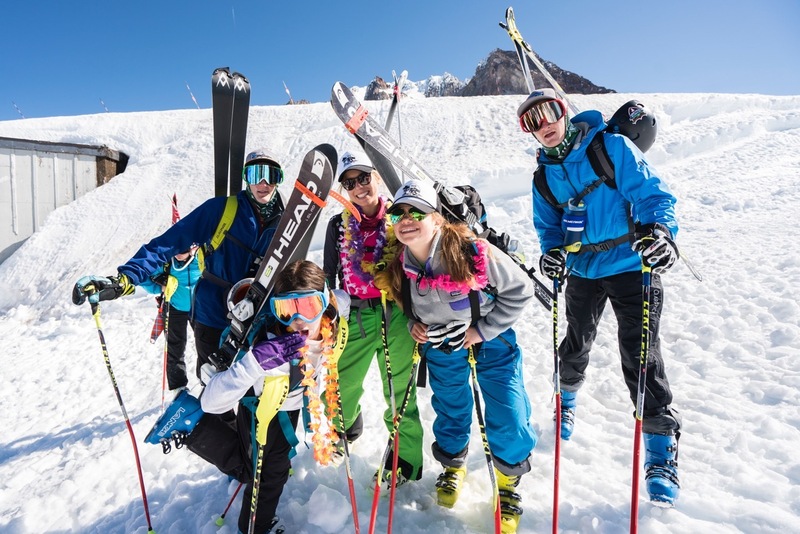 Pro skier and Warren Miller athlete Marcus Caston spends his summers teaching kids the most important thing there is to know about skiing: it's about having fun. UPDATED: February 2019 with new dates and information. What: Party Beach Ski Camps aim to provide a unique and inclusive environment for kids between the ages of 12-18 (although technically, the camp is open to all ages). The camp focus combines ski racing fundamentals with the freedom of a big mountain freeskiing platform. The camps are coached by Marcus Caston and Lyndsay Strange. 2019 Dates: 3 Sessions between June 19-July 19. Learn about dates and rates here. WME: What is the ultimate goal of the camp? MC: The ultimate goal of Party Beach Camps is to instill the “love of skiing” bug into our campers. The joy of skiing is a hard thing to put into words, but we want to create an environment where kids are able to see and use skiing as a tool to express themselves. I believe wholeheartedly that when you are in love with something, that you’re going to try you’re hardest to become better. WME: What got you started in coaching at Party Beach Ski Camps? MC: Party Beach has been an evolution of my coaching and skiing over the past 10 years. Towards the end of my ski racing career, I realized that I had lost focus of what really mattered to me in skiing. I was focused on all the wrong things, as I think a lot of skiers and ski racers are. As I transitioned into freeskiing and coaching I was able to take a step back and see the sport from a new perspective. “Party Beach” has evolved from my personal experiences in the sport, as a move away from the traditional ski racing culture which alienates many and benefits few. Too many of my old ski racing friends don't even ski anymore, that’s a huge problem. Where we differ from the other camps is the emphasis that we put on freeskiing during the day. When conditions are right, we head out for some famous Mt. Hood corn, slash turns, expression sessions, park laps, or mogul skiing! Becoming proficient in all realms of skiing rounds out the skill set, teaching feel and balance you can’t learn in a course. It’s also invaluable to creating a love for the sport or skiing in general and a life beyond ski racing. While other camps may frown upon it, the best part of my day is when the kids are skipping lunch to take a corn lap, or begging to take an extra jump lap at the end of the day. That’s when I know I’ve done my job. WME: Who have you been working with to make this project come together? MC: My good friend Lyndsay Strange who is a women’s FIS coach at Rowmark Ski Academy is my partner in crime at Party Beach. 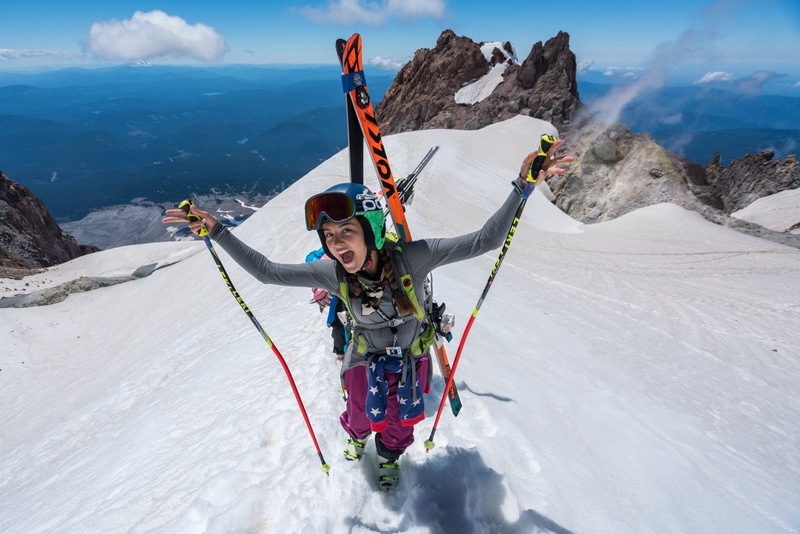 Her philosophy to ski racing similar to mine, though we certainly have different skill sets when it comes to coaching that complement each other really well. Over the years the Party Beach project has been influenced by many great skiers and coaches like Olivier Lacaille, Scott Houser, Lucas Matelich, Rose Caston, Joe Dunn, Martin Bell, Troy Watts, Paul Tollefson, and our incredible campers have all been invaluable pieces to the Party Beach experience. WME: Take us through the day-to-day for kids attending the camp. MC: Typically, we load the lifts early around 7am while the snow is still hard and make a few warm up laps. We will then do specific drills to focus on the edge control, balance, and a feel for the snow. Once we are warmed up we will hop into drill courses, full-length courses, and make free ski laps to take what we learned in morning and put it to the test. When training ends around 1pm, we head to Government Camp to pick up and return demo skis and boots offered by all the companies. We will watch video from the day and talk about technique and philosophy. Then the famous daily Party Beach foursquare tournament begins. It is no secret that foursquare is a metaphor for life, so it’s where many of life’s invaluable lessons are learned. Bring your A game. WME: If kids aren’t able to attend the camp for whatever reason, what advice do you have for them when it comes to improving their skills as skiers? 2. Work from the feet up. Feel the snow under your feet and find your balance points. If you’re in tune with the snow under your feet and with the forces you create in your turns, the rest of the pieces will fall into place. 3. Make your art and express yourself. You can learn more information and register for the Party Beach Ski Camps here.